Been awhile so I swung by to check the quality. Still up to par. 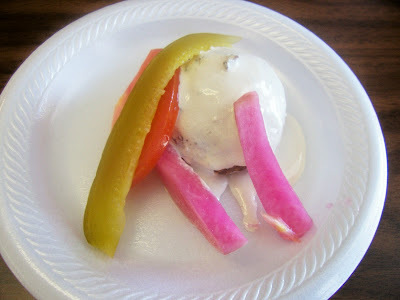 Below looks like a scoop of ice cream but it is a falafel covered in spicy yogurt sauce with a slice of tomato, pickle, and pickled radish. 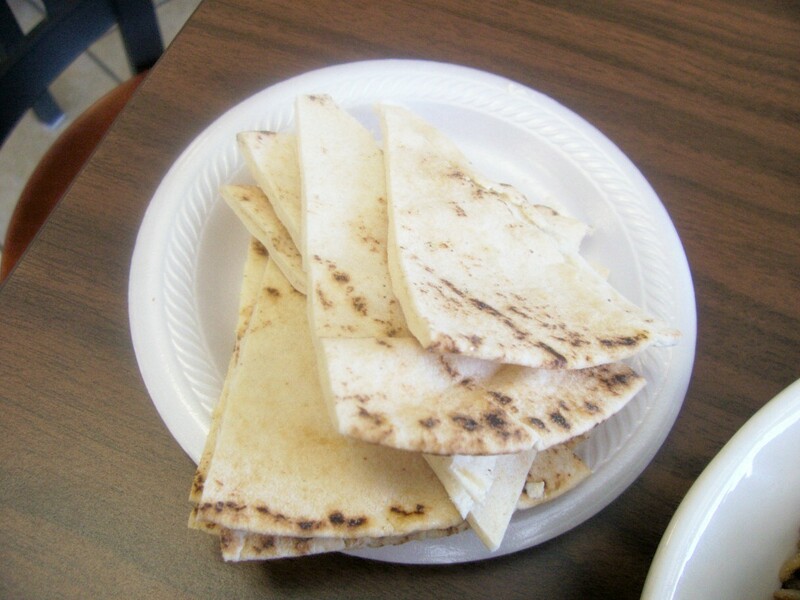 Jamal was handing these out Wednesday if he felt you had been waiting awhile for your food. In other words I was not the only one to get this treat and it was a treat. I ordered the Kefta Kabob plate. Kefta is ground meat traditionally lamb but probably beef here. 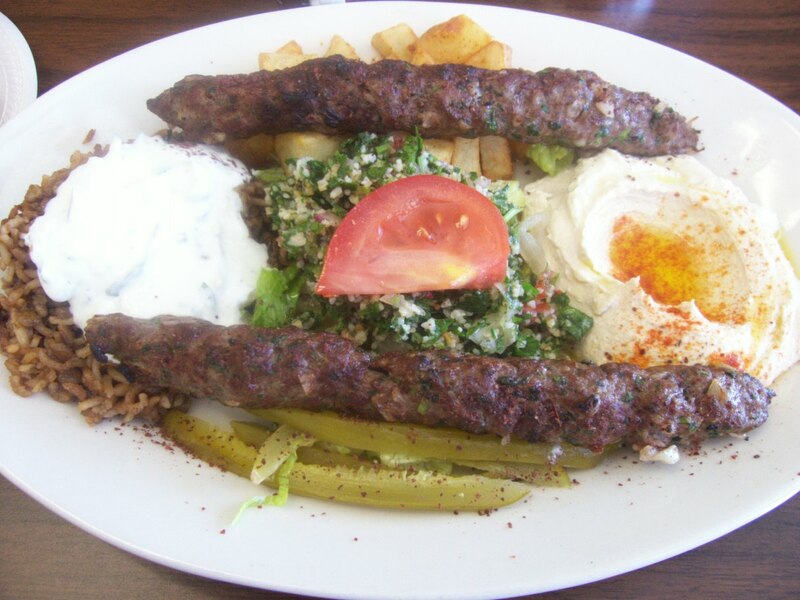 It seasoned up with spices and vegetables and formed around a flat skewer. Grilled to perfection and taken off for service. Along with these tender and juicy tubes of meat I got Lebanese potatoes, hummus, pickles, taboulleh, and lentil/rice with yogurt sauce. All of it was as I remember. 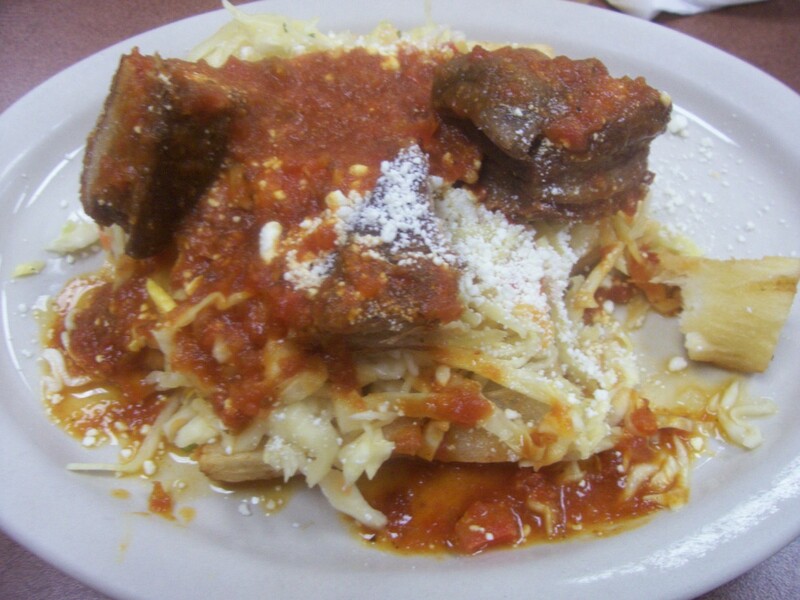 What makes this food standout it is made fresh daily from the owner's family recipes. Somethings might not be made yet just go on to the next thing because it is all good. 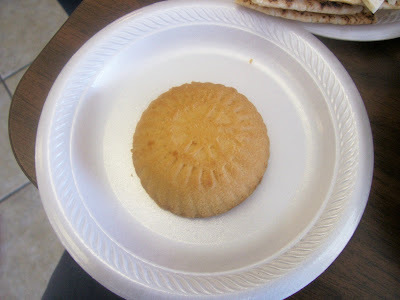 I got a mamul which is a filled cookie. This one was filled with dates. The crust was like a sugar cookie. It was great with my complimentary Turkish coffee. 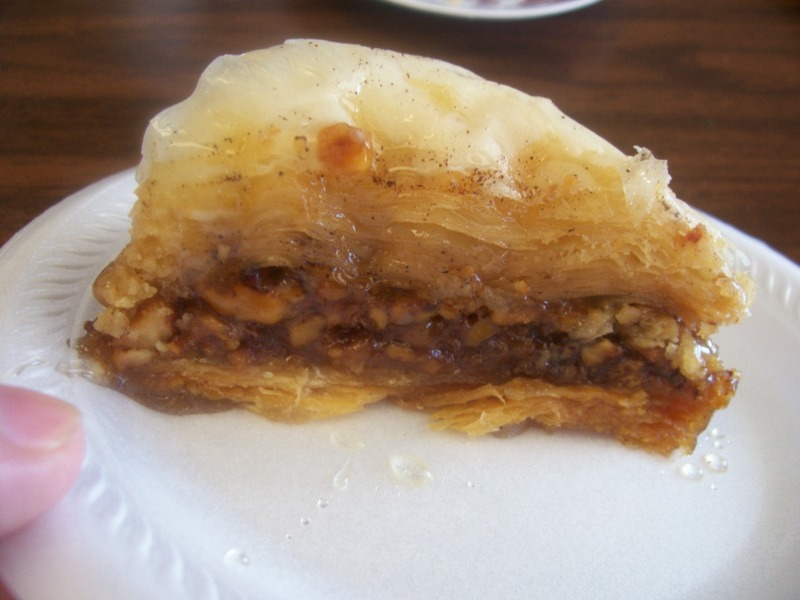 Jamal also wanted me to taste the baklava. This is the one made with phyllo dough. He makes another one that is a family recipe with semolina flour. 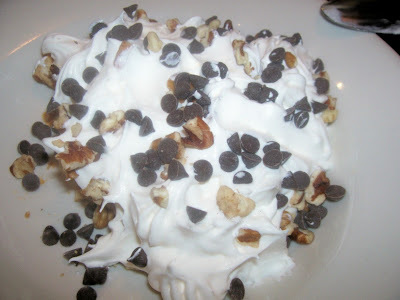 The one below was walnut and as good as I have ever had. April showers are bringing notes of black cherries, soft bouquets, and great finishes to August and La Provence! Sommelier Michelle Gueydan of Besh Restaurant Group will gather oenophiles for three food and wine dinners this April. Renowned importer, Peter Weygandt, will hand-select and present French wines from his celebrated artisanal and “boutique” wine portfolio to accompany a four-course spring menu collaboration between chef John Besh and his “Chef to Watch,” Erick Loos, highlighting ingredients from the farm at La Provence. Peter Weygandt is known both nationally and internationally for his selections and has been featured in Time Magazine, The New York Times and Food & Wine Magazine. “Life is a Cabernet” for Silver Oak Cellars winemaker, Daniel Baron, who will present the vineyard’s 2005 Alexander and Napa Cabernets as well as selections from Twomey Cellars paired with a five-course menu prepared by chef John Besh and sous chef, Mike Gulotta. The 2005 Alexander Valley Cabernet is full bodied, yet refined with a nose of black cherry, clove, cinnamon, lavender, and licorice making it seamless on the palate with a solid core of berry fruit, while the 2005 Napa Valley Cabernet boasts a complex nose of boysenberry, truffles, wild game, soy and black pepper presenting a silky mouth feel and elegant, long finish with slight tannic grip. A former board member for the American Society for Enology, Daniel Baron has been making wine with Duncan family wineries for more than 15 years after previous experience with Dominus in NapaValley and Petrus in Bordeaux, France. Winemaker Rob Davis will pair a vertical tasting of Cabernet Sauvignon in vintages from 2002-2004, along with J Sparkling and Jordan Chardonnay with a five-course menu prepared by chef John Besh and sous chef, Mike Gulotta. The 2002 varietal begins with flavors of cassis, black cherry, cedar and leather, while the 2003 varietal carries notes of black cherry with a hint of blueberry and a nice mid-weight of oak and fruit tannin, and the 2004 varietal captures the flavors of cherry, raspberry, blueberry, plum, cassis, and spicy American Oak with an herbal backdrop to finish. Davis began his winemaking career in 1976, working hand-in-hand with famed winemaker André Tchelistcheff during Jordan Vineyard’s first harvest. For reservations, please contact Christy Bradley, 504-299-9777, extension 304. Someone in the Lafayette area e-mails me when they discover a venue that they think worthy of my attention. This establishment is one of them. I have to agree. Situated just past Johnston St it occupies a former Italian restaurant. The centerpiece here is the brick oven left by the former owners which the current owners put to good use. They use it to finish baking the house bread. Sprinkling it with parmesan and slathering butter on, you get straight from the oven. It also sees duty roasting oysters. On the first trip I got some Fire Roasted Oysters from it. They come to the table sizzling with butter, garlic and parmesan. Cooked to perfection they were still juicy complemented by the saltiness of the parmesan. The house bread proved handy to soak up the juices. The Seafood Gumbo proved delicious with a medium roux and a load of protein (four crab fingers, three oysters and four medium shrimp) in just a cup. This go round I went with the Softshell Crab Explosion. They start with a base of eggplant crab dressing. Then a split deep fried crab is set on it forming a valley that they fill with sauteed lump crabmeat. All these elements make for a delightful dish. Sweet and crunchy softshell, buttery and sweet crabmeat and the underlying spicy dressing with great eggplant flavor. Planked potatoes and grilled vegetables accompanied it. I cannot recommend the Chocolate Beignets. Mine proved to a rock solid piece of fried dough with a chocolate center and smothered in chocolate sauce. Talk about a sinker. 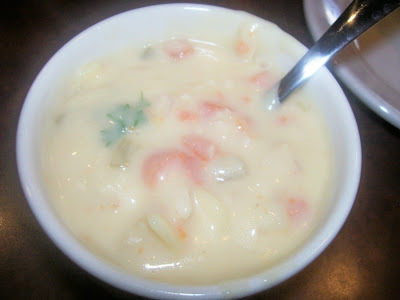 A recent second visit I started with rich but light Crab and Corn Bisque. Excellent broth not killed by adding heavy whipping cream just a bit of dairy. I followed that with Phares Oysters. Fried oysters sitting on top of a kind of spinach and artichoke dip served with tortilla chips. The crispy fried oysters played well against the creamy and cheesy flavor of the vegetables. The Fried Eggplant with Cajun Remoulade also proved excellent. They slice the eggplant lengthwise and then into huge sticks. They were not greasy and full of creamy eggplant flavor. The sauce accentuated that. Last but not least and the reason my informant loves this place, raw oysters. These were a bit on the small size but plump and juicy with a nice briny component. I declined the side condiments as I truly like the flavor of oyster and don’t want it hindered. I did not risk the beignet again but went with the bread pudding. 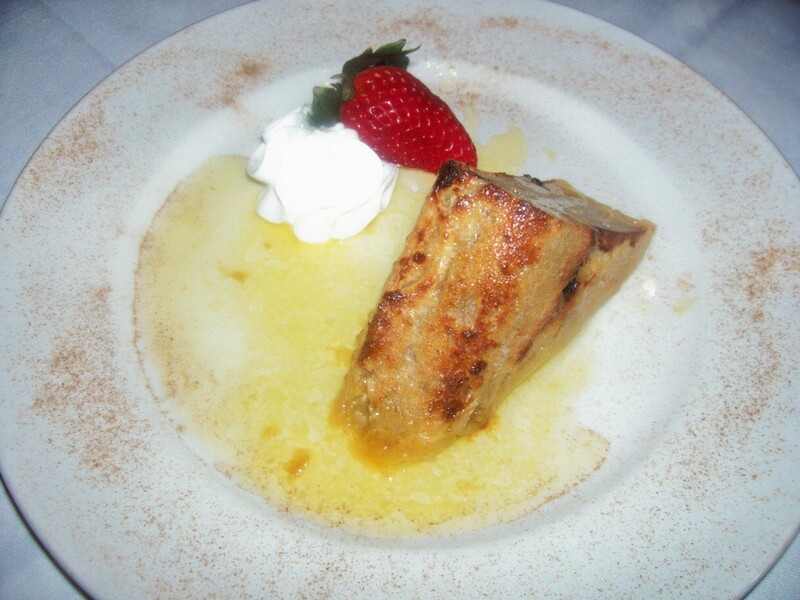 It appeared at the table topped with thick pecan streusel and berries in a buttery rum sauce. My first thought was “a repeat of last time”. However after scraping off the entire gunk, the bread pudding proved ethereal, thick, light, and custardy. They got it perfect. Why do people persist on trying to make it more perfect? Beyond my comprehension. Despite my personal dessert problems this is a lovely restaurant with great service and even better food. Don’t hesitate to go there. One thing they offer every week is Beef Tongue. You get the entree and two sides of your choice. With my tongue I received gravy and rice. I choose red beans and sausage and yams. 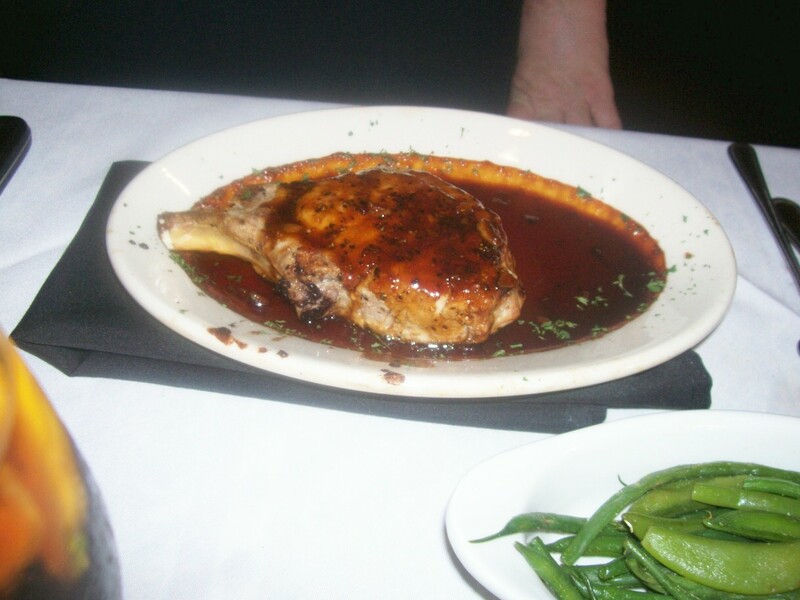 The tongue was exceedingly tender and beefy with gravy to match. Almost as good as my mother use to make. 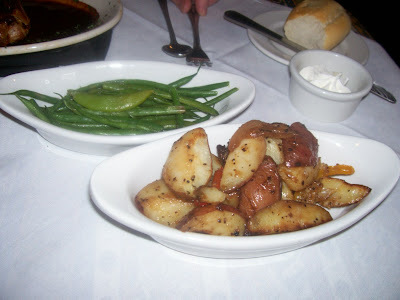 The sweet potatoes looked to be fresh from the field and the beans and sausage tasty with just the right spice. Don‘t worry they do normal plate lunches also along with short order items such as hamburger, corn dogs, etc. I also bought boudin, smoked boudin, headcheese, and green onion sausage from them. While the regular boudin is a little mushy for me the smoked proved just right with an intense smoky flavor. The headcheese is the real deal using bits and pieces from a boiled head and the gelatin to set it. 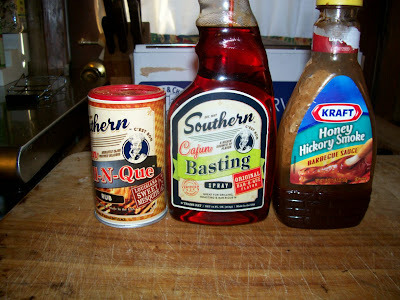 Combined with vegetable seasoning and a little spice it reminds me of my beloved aunt’s one she made when they butchered the hog. 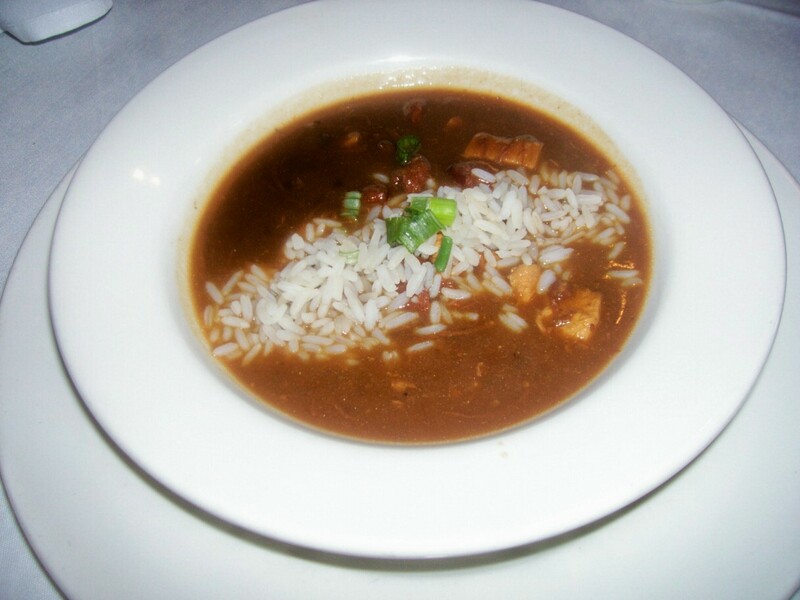 I started with a cup of gumbo. 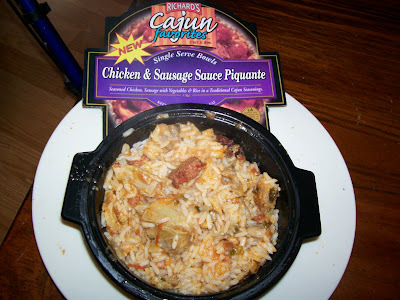 A Chicken and Sausage one with deep dark roux, loads of flavor and medium spice. Rice came separate, which is a plus in my book. Next up were in-house Boudin Balls. Using a quality boudin there were hand formed balls of delight with a crisp coating and not grease soaked. Best I’ve had in ages. Ribeye and Swiss on Jalapeno bun consisted of sliced ribeye steak and melted cheese. The slices proved tender, juicy and beefy with the bun adding a nice spice note. The in-house onion rings I got with it were perfect. I then went with a Fried Shrimp Dinner. I could tell they were hand-battered. 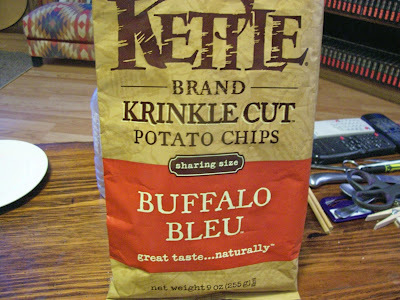 I prefer just seasoned flour on mine but these grew on me. Fresh and from scratch makes a difference. French fries were OK but went south as they cooled. They do a daily plate lunch. Check the website or call for it. I happened on BBQ Brisket Tuesday. I received three perfect slices of smoked meat (nice smoke ring) with a sweet sauce on the side. They were accompanied by excellent baked beans (smoky BBQ flavor) and a decent potato salad. I tried the Jalapeno Burger next. To my surprise no jalapeno slices. 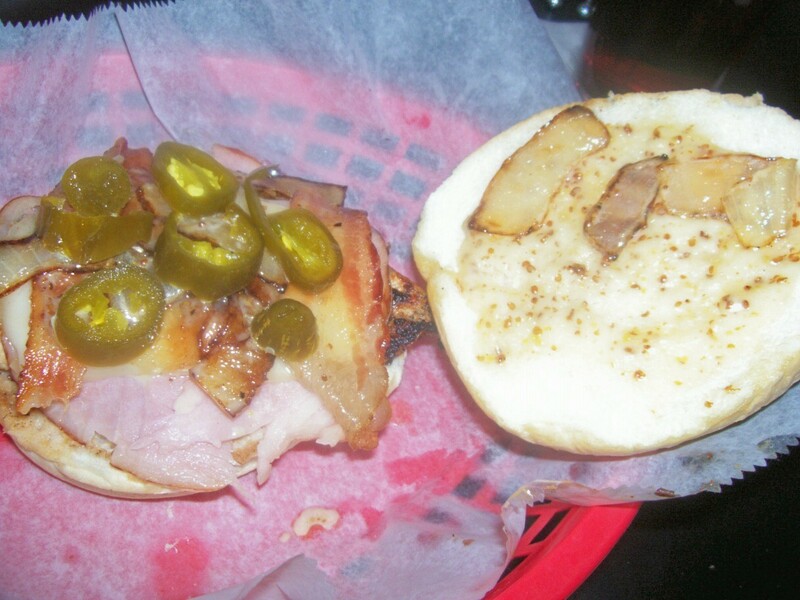 However it comes on a Jalapeno bun, with Jalapeno mayonnaise and pepper jack cheese along with sauteed onions. I added bacon. The lettuce, tomato, onion and pickles come on the side. It turned out to be a nice juicy beefy spicy mouthful without totally wrecking your taste buds. Last by not least an Open Face Steak sandwich. This is a hand pounded hand battered chicken fried steak on a bun. It was cooked to perfection and non-greasy although the batter proved a bit bland. It did come with a little tub of cream gravy. I just put mine on the meat. I guess you could dunk it also. August is full of Easter promise on Sunday, April 4, 2010 with a brunch menu that flourishes with spring’s most popular choices – freshwater seafood, farm-raised eggs, young tender vegetables, and of course, dreamy desserts. The four course prix-fixe brunch menu for $45 combines the finest local ingredients with spring flavors for dishes such as Beignets de Morue, Salt Cod Fritters in Emmentaler Crust with Spicy Red Pepper Aïoli; Stuffed Artichokes with Jumbo Shrimp, Local Crab Mean and Warm Saffron Vinaigrette; Roast Breast of Label Rouge Chicken with Sweet Pea Pesto, Morel Mushrooms and Pea Tendrils; and Ragoût of Belle River Crawfish Tails and Fava Beans over Fresh Semolina Pasta. And for the little ones under 12, gussied up in their Easter best? A selection of chef favorites that are mindful of a child’s palate is available for $18. The Easter Brunch at August is available from 11 a.m. until 3 p.m. For reservations please call 504.299.9777 or visit www.restaurantaugust.com. Price is per person, excludes tax and gratuity. Wednesday on our way back we stopped in Baton Rouge at Jubans for lunch. We had eaten there several years ago and found it great. 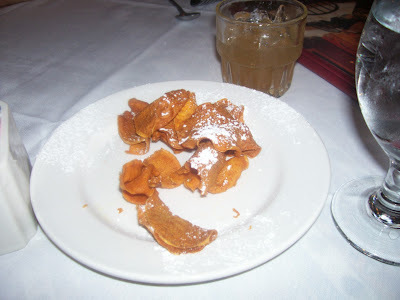 Below is their signature sweet potato chips they bring out to snack on. Perfection. Probably the best I have had. The Chef's honey bourbon at the top was one reason we stopped in. Nice stuff. As driver I could only get a sip. I opted for the soup of the day which was a crawfish and corn bisque with a ball of the crawfish stuffing usually put in the carapace. It was not a traditional brown one but a cream bisque. Makes sense since this is a Creole restaurant. It was light and tasty with a nice spice bite. 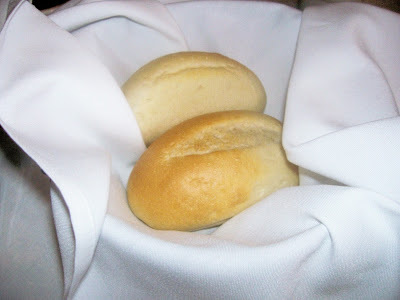 The bread basket which was baked pistolettes. I got the Wednesday Lunch Special, Seafood Stuffed Mirliton. 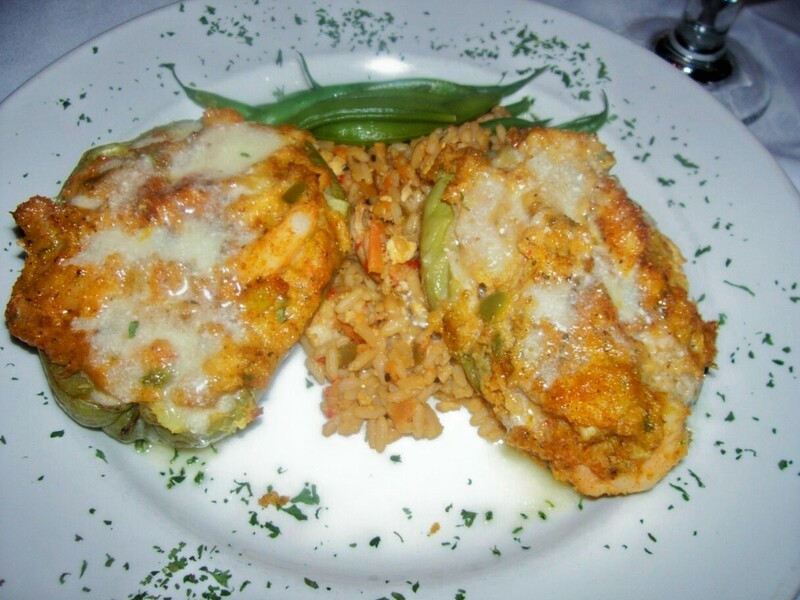 It consisted of Louisiana crawfish, shrimp, and crabmeat stuffed in a boiled mirliton served with a crawfish rice pilaf and fresh vegetables. The seafood was in a cream sauce topped with cheese. A little spicy but something that matched well with the somewhat bland and vegetative mirliton (vegetable pear, chayote). I was quite pleased and ate every bite. The vegetable was a mixture of haricot vert and sugar snap pea. Light and refreshing. The rice added an additional seafood note. He also got the vegetable of the day along with roasted potatoes which also proved excellent. I caught him dipping them in the sauce. A great move in my opinion. This is a great place and will return here as often as I can. I got an appetizer that I had encountered before in an El Salvadorian pupuseria. It is a salad of fried yuca with a marinated cabbage slaw and chicharon. 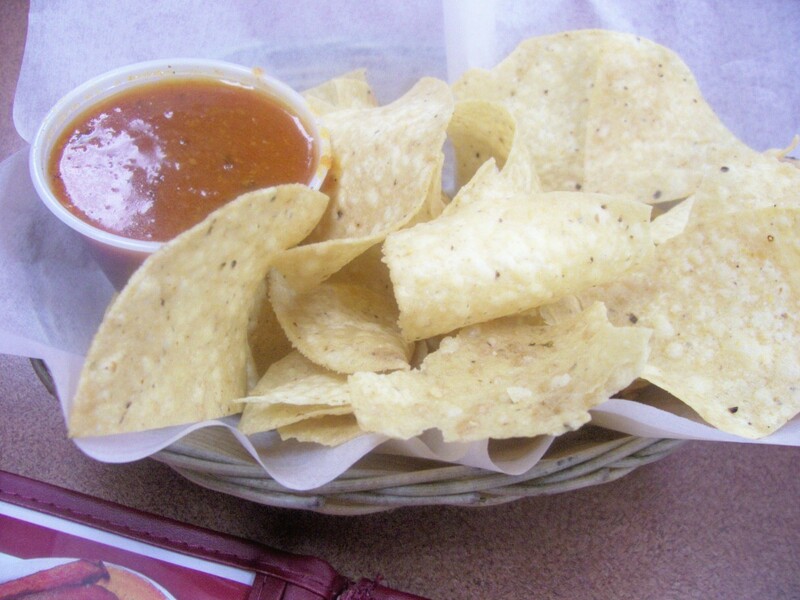 This one had an added salsa. There were minor quibbles. 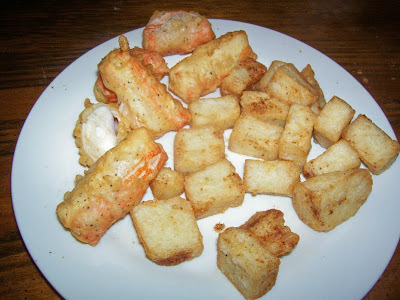 Some of the yuca pieces were too big and undercooked and the chicaron were pork belly pieces and hard as rocks. However the cabbage was perfect and the overall flavor like I remember. The Chef got an empanada app. 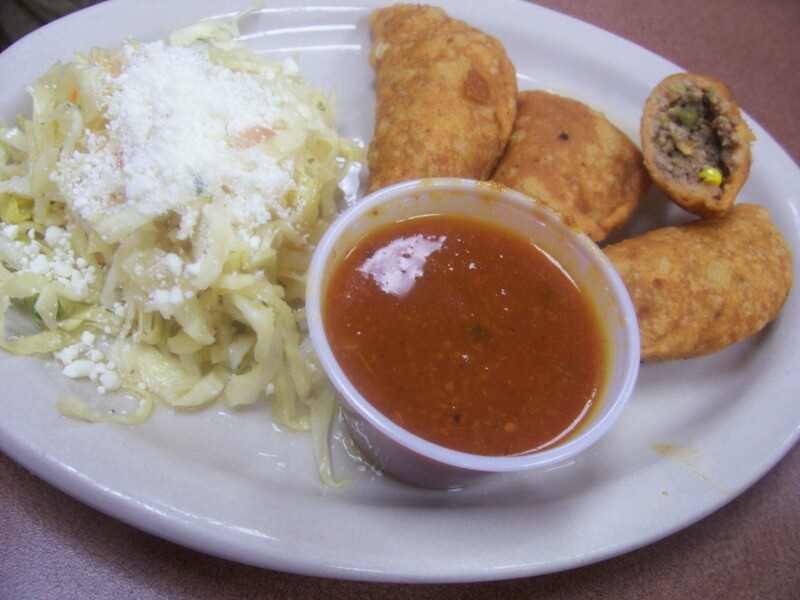 Three fried crust pockets loaded with ground meat and vegetables like corn and beans. He also received some cabbage slaw that had a feta like queso on it. 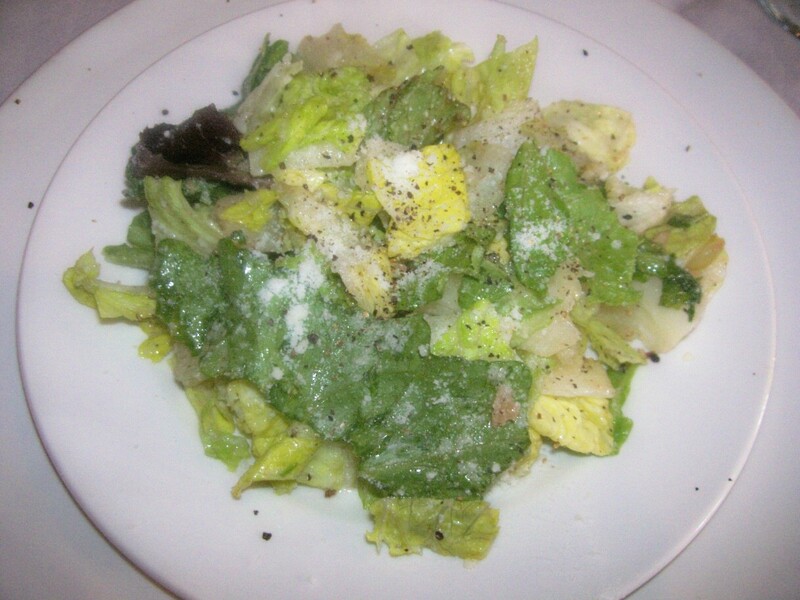 It had not been brined so it was fresher and not quite as salty. I am lucky I got a bite of the empanadas but there were delicous. I was drinking a guanaban or soursop Agua Fresca made from the actual fruit. This is one of those tropical fruit that taste like a blend of fruits. This one tasted of strawberries, pineapple and coconut. The Chef was drinking the exotic beers that they had including Pacifica. The chef opted for a Carne Asada dish. 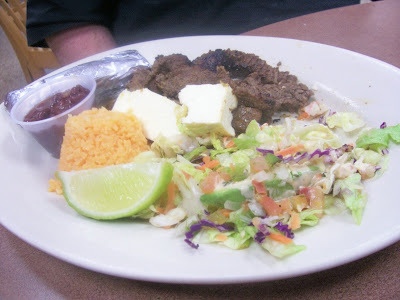 He received beef, a mozzarella like cheese, cooked beans, rice, and salad with a lime wedge and flour tortillas. My taste of the beef proved tender and juicy with just the right seasoning. He sat there making tacos quite happily. Mine was Camerone el Diablo. 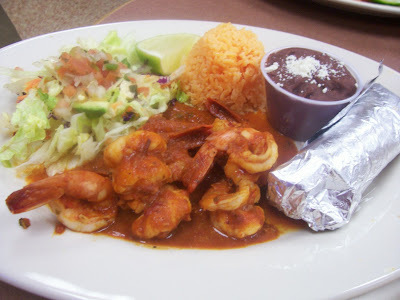 Shrimp in chipotle sauce. I got refried beans that I swear were made to order. Not a big fan but these were outstanding. I also got the salad and rice with lime. I went with corn tortilla and I got basically a pupusa ( thick corn tortilla). The shrimp had not been overcooked and I swear the sauce was chipotle in adobo pureed then thinned with some stock. It was that good kind of spicy. It never hurt so good. I would lick my finger and let the heat subside then go after it again. 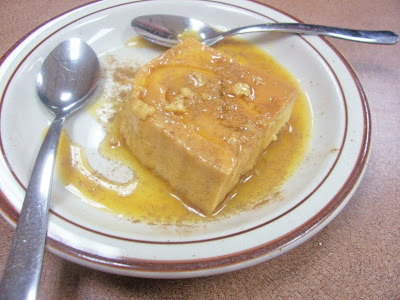 We shared a piece of coconut flan that was to die for. It was so rich and we were so stuffed that we barely finished it. I wish we had such a place in Lake Charles. Good food. We were the only anglos in the place. I love a place where I can barely make myself understood. It seems to mean good cuisine and great atmosphere. 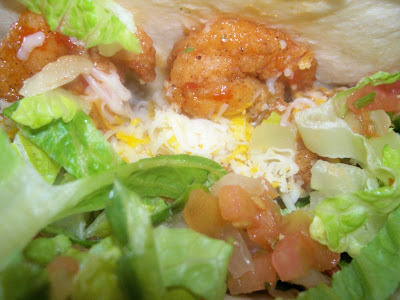 A new e-buddy suggested this sandwich from AJ's. He was right it was great. 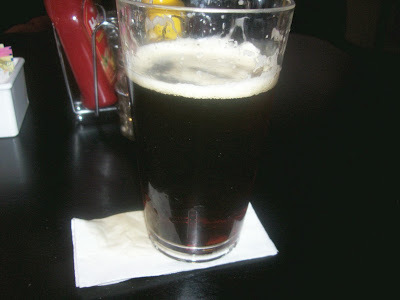 Futzing around the Internet this morning a ran across a Mississippi micro brewery(Lazy Magnolia) and their Southern Pecan Nut Brown Ale. I noted that AJ's was listed as serving their products. Just another reason for going there for lunch. I don't work after lunch. Sure enough they had it and I drank it. It was a smooth lightly hopped and malty brew. Easy going down and good with food. I got the soup of the day but the camera refused to cooperate. I took three pictures and none of them came out. I could not even adjust them electronically. 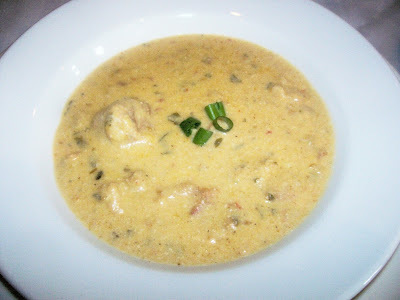 It was a crawfish and corn bisque with a cheesy broth, plumb crawfish, and good shot of spice. Very nice. This is a fine place to get a burger, sandwich or wrap if you are downtown. Not to mention a good beer. 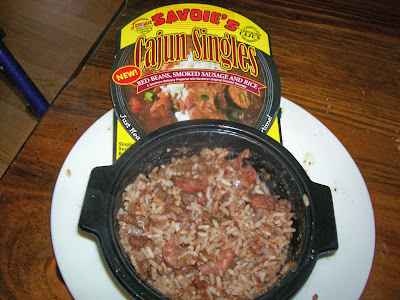 Shopped at McNeese Krogers and found the Savoie selection limited. However I did find this in the Richards case. As I had done a Savoie I though it only right to try this. It proved very nice indeed. This is a case of the extra liquid in the Richard product proving an advantage. The Savoie was extremely dry. In this product I got a mixture of whole beans and mashed beans and decent sized sliced sausage. 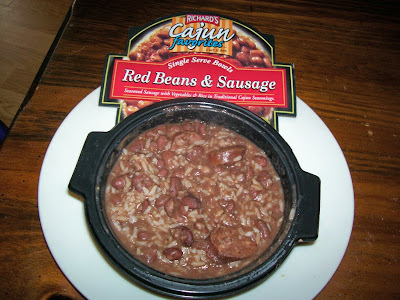 It was spicier and the rice ok. All in all I would by this again if I had a hankering for red beans and did not feel like making a whole pot. I would never touch the Savoie product again although I like many of their other ones. As New Orleans continues to celebrate its newfound superstar status as Super Bowl Champions there are three more reasons to visit one of Travel + Leisures "America's Favorite Cities" this summer. The 19th annual New Orleans Wine & Food Experience (NOWFE) kicks off summer with its five-day extravaganza May 2529, 2010. Long sultry days are welcomed with an abundance of fresh Louisiana seafood at the 3rd annual Louisiana Seafood Festival June 1113, 2010. And the 8th anniversary event of Tales of the Cocktail is sure to raise the spirits of any summer-loving, food and spirit connoisseur July 2125, 2010. Tales of the Cocktail, an event produced by the New Orleans Culinary and Cultural Preservation Society, is an internationally acclaimed festival of cocktails, cuisine and culture held annually in New Orleans. The event brings together the best and brightest of the cocktail community—award-winning mixologists, authors, bartenders, chefs and designers—for a five-day celebration of the history and artistry of making drinks. Each year offers a Spirited Dinner® series, demos, tastings, competitions, seminars, book signings, tours and parties all perfectly paired with some of the best cocktails ever made. Special ticket packages are available now for a limited time only at www.TalesoftheCocktail.com. The New Orleans Wine & Food Experience is a non-profit organization. Over it's 19-year history, the Board of the New Orleans Wine & Food Experience has dispersed over a million dollars in donations to support various local programs and foundations. Proceeds from the 2010 event will benefit the Louisiana Restaurant Association's ProStart School-to-Career Program; The University of New Orleans School of Hotel, Restaurant & Tourism; The John Folse Culinary Institute; Delgado Community College School of Culinary Arts; Cancer Crusaders; Girls First; Animal Rescue of New Orleans; Coach Sean Payton's Play It Forward Foundation; Fore!Kids Foundation and New Orleans Center for the Creative Arts Culinary School. The New Orleans Wine & Food Experience 2010 will be held May 25-29, 2010. For additional press information, including downloadable images, contact Liz Bodet 504.583.5550, egoliwas@bellsouth.net or visit the media center at www.nowfe.com. The Louisiana Seafood Promotion & Marketing Board was created in 1984 by the state of Louisiana to support their vast historical commercial fisheries industry. The Board is composed of 15 members and each member represents a sector of the industry: harvesters, processors, wholesalers, restaurateurs/retailers, fisheries resource managers, public health officers and marketing specialists. The Board's operating budget is derived from license sales to Louisiana commercial fishermen and seafood wholesalers/retailers as well as state and federal grants. The Board represents over 12,000 fishermen while promoting and marketing $2.6 billion of retail seafood sales annually to the consumer. 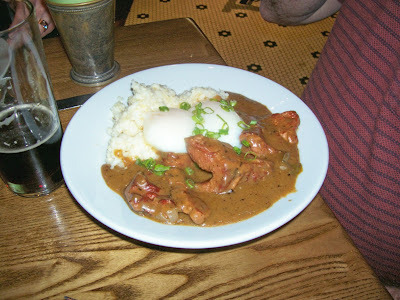 The New Orleans Culinary and Cultural Preservation Society is a non-profit organization committed to preserving the unique culture of dining and drinking in New Orleans and the storied bars and restaurants that have contributed to the city's world-wide culinary acclaim. This organization supports members of the hospitality industry through education and the production of events like Tales of the Cocktail and, most recently, Trails of the Cocktail, a scholarship program for emerging talent in the New Orleans cocktail industry. This establishment has received many accolades. That and the menu prompted me to suggest it as a meeting place for some Lake Charles people to meet some friends that had move to Virginia but were in Houston for a day or two. The interior is classic modern industrial with exposed ceilings, brick walls and painted concrete floor. Seating consisted of brushed aluminum chairs and tables. It also possessed an open kitchen. I will first tackle my meal. Then items I got a taste of followed by items I did not taste. First in line was Seafood Gumbo. It possessed a deep dark roux in an excellent broth with crab fingers, shrimp and sausage. They balanced the sausage against the seafood and it provided great taste. Steamed Mussels in Shiner Bock with toasted ancho chile came next. I love mussels and this proved to be something different and delicious. The deep red sauce was slightly bitter from the hops and chilies and just spicy enough. Made a nice contrast to the sweet and succulent mussels. For entree I went with the Simply Grilled Amberjack. Unfortunately my filet was simply over cooked. I barely ate more than a few bites. Undercooked I could have handled. I was with a large group and I suspect mine got done first and just sat there waiting on the others entrees. Dessert made up for it. A Vietnamese Coffee Tart with Condensed Milk ice cream. It was a rift on Sua da or coffee with chicory diluted with sweeten condensed milk and poured over ice. I got all those flavors in this wonderful dessert. Other dishes included Spring Roll Wrapped Shrimp with a hot and spicy sauce, Baked oysters with creamy Swiss chard, lime pickle and Asiago bread crumbs, and Mix Seafood Grill (shrimp, snapper, scallop) on a sugar cane skewer over Harissa cous cous rounded out the meals. Everyone was oohing and aahing but mainly stuffing their faces. Despite my grilled fish I would recommend this for people who love seafood and are looking for a new and innovated preparation for it. I would return if offered the opportunity. This in-store deli situated in a somewhat iffy neighborhood has one claim to fame. Eric Cormier declared it has the best-fried chicken in the city. Having tasted it I will second his opinion. They have space for in-house dinning or you get it at the Drive Thru. If you can catch them on the phone, this will speed your way through. However I never could so I just took my chances and expected to wait at the window. The deli area is clean if a little shopworn. Most people take their items to go. Last time through I went with Fried Boudin, Crab Burger, and a Shrimp Po Boy with onion rings. They do fried boudin here differently. It is not balls but the whole link dipped in the chicken batter and deep fat fried. I love it even through the skin can present a minor problem. The crab patty, shrimp and onion rings were prefabricated products. In such a small operation (3 people) such short cuts can be expected. However they choose superior products that worked well in their operation. 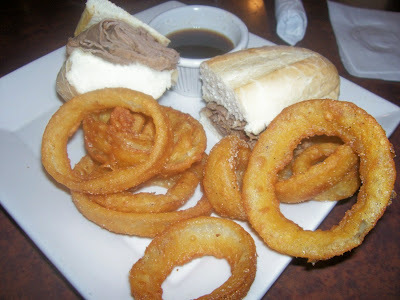 The rings were beer battered and thick, which I like. 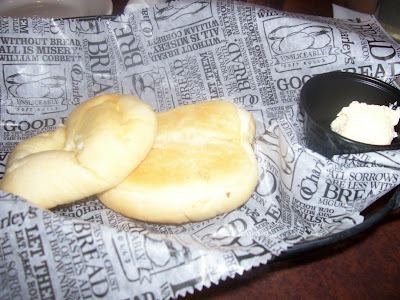 The patty had great crab flavor and the shrimp was a breaded product that seemed to compliment the po boy bread. 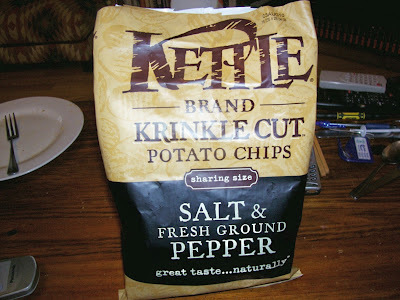 I think that the non krinkle cuts are thinner therefore allowing the flavor on it to stand out more. This one had white cheddar and parmesan. It exuded cheese. 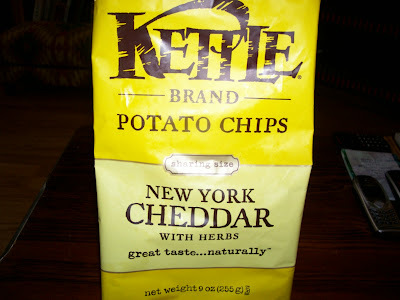 The non spicy flavors will be my down fall as I ate this bag in a day or so while the spicy go a little slower. Like I said very cheesy without that ersatz yellow color. Nice mellow combination of flavors. Highly recommended for cheese lovers. Sited on the land directly behind Lacombe’s distinguished restaurant, La Provence, chef John Besh’s farm is “springing” into action with beautiful vegetables, bustling chicken, timid goats, and the newest to the group, Mangalitsa pigs. Once again, the farm contributes to all the restaurants, in one way or another, for guests who eagerly take pleasure in a true farm-to-table experience. To reawaken your palate from the long cold winter, August, Lüke, Domenica, Besh Steak, and La Provence, are offering deliciously savory, yet lighter chicken and egg dishes that exude the fresh flavors of spring straight from Besh’s own chicken coop and eggery. For something a little more soft and aromatic, treat yourself to August’s Whole Roast of Label Rouge Chicken with Agnolotti of Braised Thigh, Pied de Mouton Mushrooms and Grilled Pears, or try Lüke’s Poulet Grand Mere Herb Roast Chicken with Jus Naturel, Allen Benton’s Bacon and Whipped Potatoes. At Domenica the Pollo Arrosto of Local Chicken with Lemon, Rosemary, Fava Beans and Olives draws from rustic traditions found on the Italian countryside, while Besh Steak’s Heart of Romaine Salad with Bread and Butter Pickles, Tomato, Garden Egg, and Thousand Island Dressing complements your dinner with a true American classic. And just outside the city is La Provence, where the authentic Provençal restaurant gives a warm welcome to the season with Truffle and Herb Stuffed Breast of Local Chicken with Thigh Confit, Braised Spring Onions and Morel Mushrooms and a dessert of Yard Egg Crème Brûlée with Red Wine Stewed Berries. Spring could not have come soon enough and Besh Restaurant Group is primed and ready to feed New Orleanians out of their winter culinary hibernation. For more information on the Besh Restaurant Group, visit www.ChefJohnBesh.com or Twitter.com/ChefJohnBesh. I have friends (a couple) that use to live in Lake Charles but moved to New Orleans. After the big storms they moved on to Virginia. They return to the area about twice a year and we always arrange to have a meal together. This weekend they were visiting in New Orleans and we arranged to eat lunch a Luke's a John Besh restaurant named for his son. 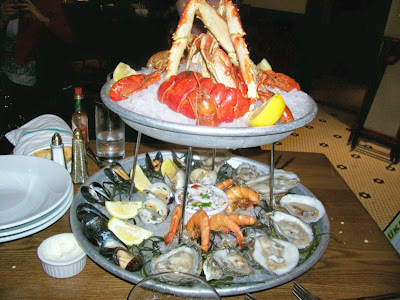 We started off with a Le Petite Plateau de Fruits de Mer which consisted of 1 lobster tail, 8 oysters, 6 shrimp, 4 clams , 8 mussels, half a crab, king crab legs, crawfish, and ceviche. The lobster tail was not overcooked which I seldom encounter and sweet. The oysters were perfect fat and briny and did not need the accompaniments of sauce making (ketchup, horseradish and mayo). The boiled shrimp were perfection easy to peel and possessed that sweet shrimp taste. The clams were small but tasty with a seasoning that spoke of New Orleans. The steamed mussels tender and fat with their own definite taste which I love. I do not think the crab was a La blue but again cooked to perfection and had that sweet crab flavor I love. The same with the crab legs. Sweet perfection. The lime based ceviche contained squid with a healthy hit of spice. Quite delectable. This I would order again and again. They kindly bring hot towel with a lemon wedge so you can clean your hands and face. Creamy New Orleans style with thinly slice sausage. Not much spice to it. Would do in a pinch. Need to be a bit more moist. Dryness not a good factor here. By the way I went back and made a list of the ones I have done so there will be no repeats. Spice level OK but not what I would call piquante. They say tomato but I got little of that. 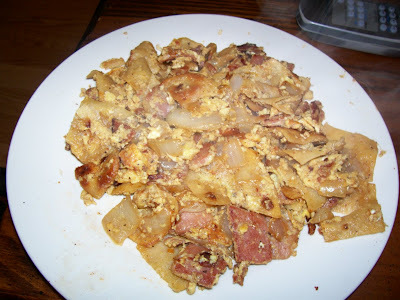 Lots of both white and dark chicken chunks and some thinly sliced sausage. If you like lots of protein this one is for you. No matter what your feelings about waking in the morning – whether you bound out of bed to greet the day, or groan and hit the snooze button – there’s no denying that the right breakfast or weekend brunch can set you up and send you off full of vim and vinegar. 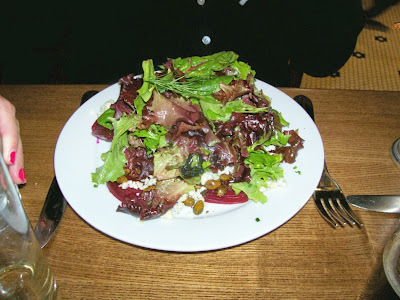 If you’re lucky enough to be waking in New Orleans, two restaurants should command your attention: Lüke (adjacent to the Hilton St. Charles,) in the tradition of the great old Franco-German brasseries of New Orleans’ past; and Domenica (in the historic Roosevelt Hotel,) serving bountiful rustic Italian cuisine. 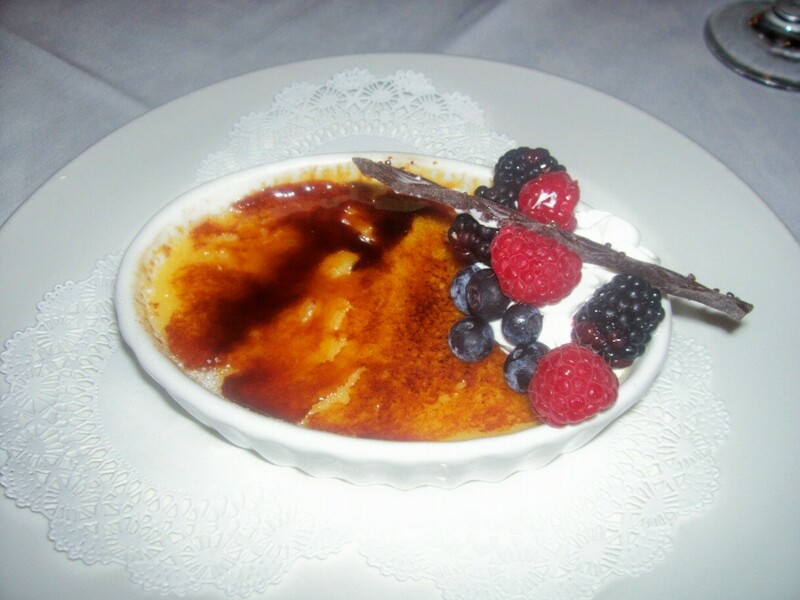 Both are creations of acclaimed chef John Besh and offer morning fare that you’ll wish were available all day…. At Lüke (starting at 7am seven days a week,) if you fancy a bit of everything, you can’t go wrong with the St. Charles Buffet for $18.50, which includes scrambled organic eggs, cane syrup sausage, maple sausage, Allen Benton’s smoked bacon, McEwen and Sons grits, artisan cheeses, Bittersweet Plantation’s yogurt, and seasonal fruit and muesli. Or perhaps go for a dish of your choosing: Chicken and Waffles featuring Buttermilk Fried Chicken, Benton’s Bacon Gravy, House-Made Waffles and Local Mayhaw Syrup; Louisiana Shrimp and Grits with Poche’s Andouille is a home-town favorite; and the Cochon and Eggs on Stewed Greens with Cornichons and Hollandaise brings ham ‘n eggs to a whole new level. Classic breakfast items are always an option for the business executive that wishes to have the most important meal of the day within 30 minutes. A la carte prices range from $9-$22. There really is no excuse now for mediocrity at breakfast: start the day right, in the best of taste -- and with a distinctly Continental flair. I have taken to doing smoothies. The ingredients vary but the basis is frozen bananas. I just peel and freeze whole bananas. When smoothie time comes the banana is slice and put in the plastic cup. Then depending on what I have on hand yogurt (preferably whole milk), milk, juice, peanut butter, etc is added. Then I take my stick blender and do it up. Very tasty and fast with minimum cleanup. 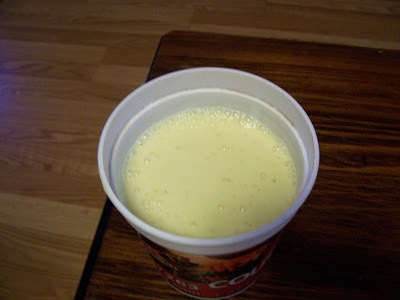 This is a banana, orange juice and milk one. I had a coupon so I tried this. It is very good. 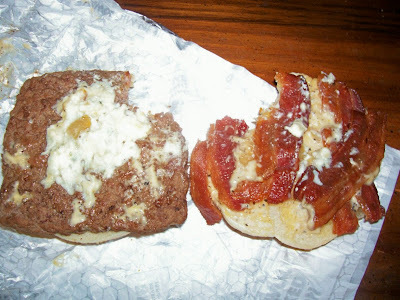 Perhaps I just like blue cheese but this burger satisfied and I would buy it again. 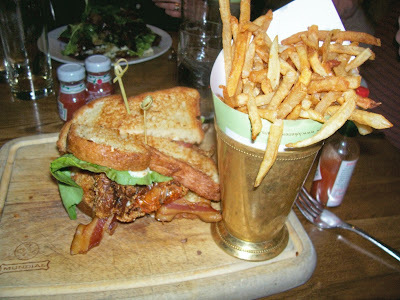 The cheese crumbles and the bacon made magic and everything was in proper proportion. I no longer get lettuce on my burger as it usually is a soggy mess. I long for the day when McDonalds put the hot stuff on one side and the cold on the other. What happens to the leftover grits from dishes like the blood sausage over grits. This is what happen. They get put in the icebox. 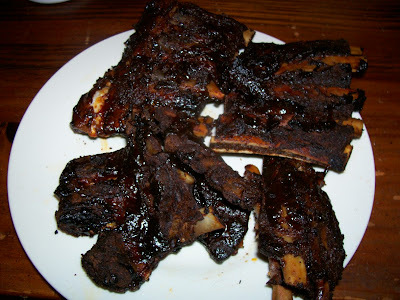 Then cut into cubes tossed with seasonings and self rising and deep fat fried as a side. Below it is paired with some fake crab legs fried in batter. I was invited by the co owner via e-mail to try the specials. They both sounded pretty good and I did try them. 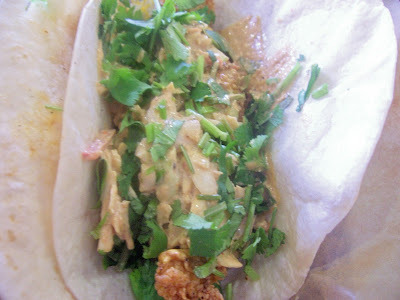 One is a Baja Fish Taco with Crispy Fried seasoned Catfish with a Chipotle Remoulade Slaw and Fresh Cilantro. Both are served in a warmed flour tortilla. This one almost had too much cilantro for me. So if cilantro is your enemy tell them. The slaw could have been a bit more crunchy but the flavors were spot on. A nice smoky note that complimented the fish. They are 7.99 for two. However they let me have one fish and one shrimp for the same price. These are well thought out options and the execution was good also. I will probably return for an encore before lent's end because they will be gone after that. I hope they come up with other specials for holidays. I wonder what a St Patty item would be like. This is it. A real honest to God French Dip. No cheese, no condiments, no veg. Just meat, soft bread and au jus the way it was meant to be. In my mind you cannot improve on this except maybe a better cut of meat. Also decent onion rings. These beer battered ones were perfect.